In order to market your small bakery business effectively, you need to know what kind of brand you’re selling for your bakery. Click this link to watch the video version. To explain branding a bit: A brand is the name of a specific/unique product, service or product (e.g. Coca Cola, MPESA, Blueband, etc.) 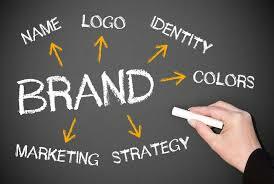 Branding is the process of creating and defining the brand name. To quote a famous copy writer – David Ogilvy; he described a brand as the intangible sum of a product’s attributes: its name, packaging and price, its history, reputation and the way it’s advertised. Now to translate it to your planning as a small bakery business, you don’t have to necessarily brand all your products (however if you have a signature cake or bread that is truly popular and can do even better by being marketed separately as a brand, you can do so). You can decide to define your small bakery name as a brand in itself – in order to simplify the process and due to possible budget limitations. This will help you create and define your bakery’s image in a certain way that will help you while marketing. Today we will cover three aspects of branding your small bakery that you have to consider carefully. This will help you ensure consistent marketing that your customers will always relate to your baking business. You need to slowly develop a voice and character that your customers will, over time, start relating to your bakery business. 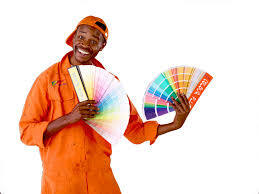 An example of a company that has done this is Basco Paints, in their brand – ‘Duracoat’; their brand personality is ‘Peter Marangi’. He is the epitome of a Kenyan painter who is knowledgeable of his work and one who any Kenyan painter can relate to and communicate with. Another brand that is very effective on this point is Coca Cola, the consistent image they share in their adverts is that of happiness and friendship. This is seen in their many campaigns including ‘share a coke’ where you can share a coke that has your name, the name of a friend or a message that resonates with you – the consumer. Find your own voice for your bakery that will be unique to your business. You can choose to be fun & friendly, quirky & experimental (like always have choice of experimental toppings, sprinkles, etc) or glamorous and sophisticated (if you’re a custom wedding cakes & occasion cake shop). You can communicate this voice or character through your tagline or slogan (e.g. “Baking your ideas to life”, “Fresh. Not Frozen” or “Innovative cakes with elaborate taste” *Slogans courtesy: brandongaille.com). Your voice can also be communicated in your social media posts, your website, blog and marketing print as well. Do you have a certain voice for your bakery? What kind of character would you like to portray or be known for in your small bakery business? A very important aspect of your small bakery business you really need to work on is your bakery’s logo. This is very important since it’s going to be the image that will identify your bakery brand. Make sure it matches your character and is unique to your bakery business. Don’t imitate another business’ logo, try and be original by researching to ensure your logo is unique. You should also ensure it has your brand colors as well. Try as much as you can not to change your logo often, it will confuse your target customers. I’m sure when you see some of the logos below, you don’t have to be told the brand names – you’ll know automatically. You want to work towards that goal as a small bakery. Once a person sees a cake box with a label which has your logo on it, they will know where the cake is from automatically. That is your goal. Another important factor to consider while branding is the scheme of colors you will use for your brand. You can choose between 2 to 5 colors to use; however, it’s advised to choose only 3 colors to use for your brand. This of course depends; not only your business logo colors, but also possibly colors you’ll use in your content distribution among other uses. For example; our three main brand colors are lilac, soft pink and brown. We also do use secondary colors such as maroon and soft yellow in some of our content distribution such as our blog and masterclass content. My advice to you at first is to pick three colors that you will use in your bakery business logo, website and print material. This use of color will help you in building a consistent brand for your bakery. Professionally; it’s advised to use your color in the 60:30:10 rule – use your colors in a 60%, 30% & 10% ratio (e.g. 60% Safaricom green, 30% White & 10% Red). I hope that has made some sense when it comes to the general branding of your small bakery business. For more detailed information on marketing; make sure you book a spot in our May masterclass that will cover marketing your baking business. Click here to get more information. If you think this will be helpful to any of your friends, please share on your social networks using the buttons below. Thanks!